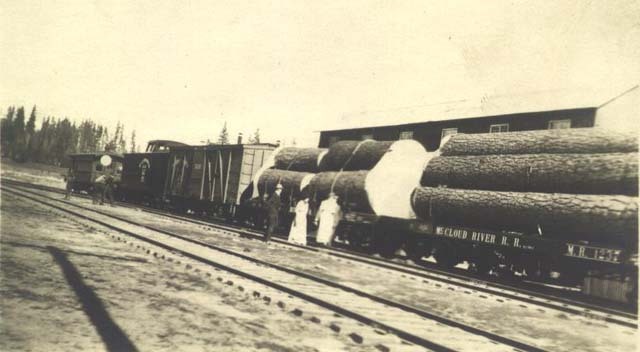 The McCloud River Railroad rostered a small number of wooden boxcars throughout its history. Their general use is unknown at this late date, i.e. if they saw much off-line service or if the company used them in a manner similar to the lumber flats. 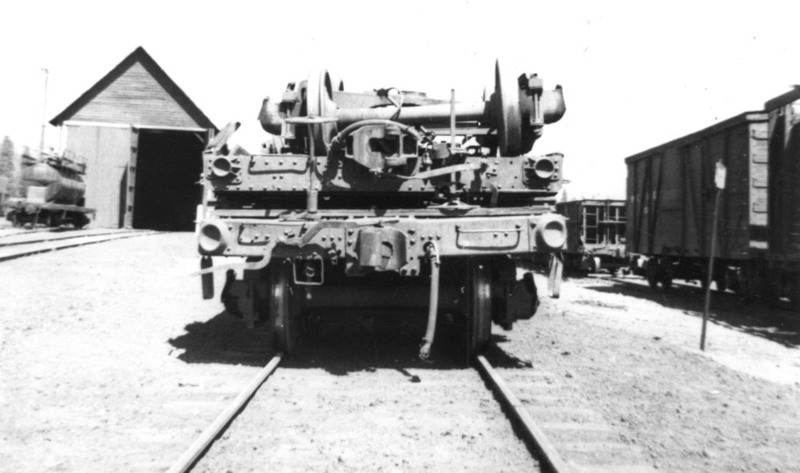 In later years, the railroad used the boxcars primarily to move lumber company supplies and equipment between McCloud and the outlying camps. 3021-3049 (Odd Numbers): 40-foot, single sheath, outside braced, steel frame boxcars, all purchased new from Pullman in Chicago, Illinois, in October 1914. Cars built under the "Fowler" patent, which featured elongated holes where the boards attached to the frame to allow adjustments to be made. Dispositions as follows: #3021 to log flat #2315; #3023 to log flat #2319; #3025 to log flat #2311; #3027 to log flat #2301; #3029 to log flat #2325; #3031 to tool car #1733; #3033 to log flat #2321; #3035 to log flat #2327; #3037 to log flat #2313; #3039 to log flat #2305; #3041 to log flat #2309; #3043 to log flat #2317; #3045 to log flat #2303; #3047 to log flat #2323; #3049 to log flat #2307. The railroad loaded one of the newly delivered boxcars with lumber for display at the Panama-Pacific Exposition through 1915. The car is seen here with the rest of the display train immediately prior to departing McCloud. Heritage Junction Museum of McCloud, Inc.
Good shots of the Pullman boxcars are hard to come by. While the photo is principally featuring the wrecked log flat, to the right is what can only be the #3031- the only remaining unrebuilt car of this type by this date- in McCloud in late 1940 or early 1941. 3051, 3053: 42-foot, steel frame boxcars, both purchased July 1946 from the Western Pacific. Both cars retired 1969/1970. McCloud River boxcar #3033 sitting behind the McCloud depot building around 1959. Photo by and courtesy of Ed Burggraf.